The Low-Down: You’re given a prize! A 100-day homestay in the body of suicide survivor to find out the reason behind the attempt. That’s the central premise of Homestay, Thai horror-hit director Parkpoom Wongpoom’s (Shutter, Alone, 4bia) adaptation of Japanese novel and animated film, Colourful. 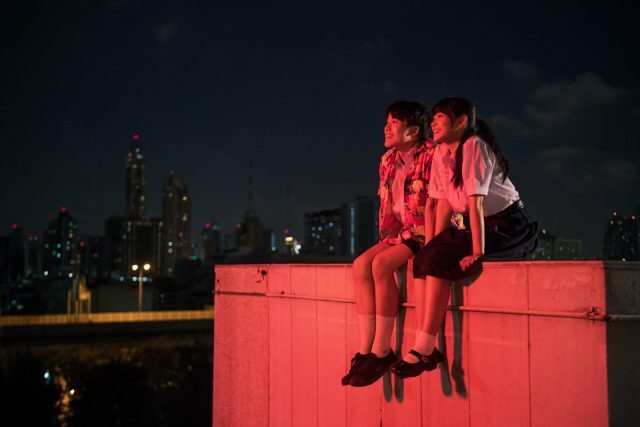 Starring Bad Genius rising star Teeradon “James” Supapunpiyo and Thai idol girl group BNK48’s Cherprang Areekul, Homestay is a sometimes-horrific but mostly-heartwarming coming-of-age drama about teen suicide and therapy. The Story: A nameless spirit (James) wakes up in a hospital morgue in a body he doesn’t recognise. He meets The Guardian, or a Grim Reaper of sorts, who explains how he’s still alive in a physical body and it won’t last unless he completes his task. As the spirit lives Min’s (also James) life, what he initially thought to be great, takes an extremely dark turn. He grapples with Min’s repulsive and dysfunctional family, high school stress, and betrayal. The Good: Min’s relationships with his family and schoolmates are depicted believably, so much so that certain sequences and subplots are heartwrenching to watch. On the creative side, Parkpoom and crew effectively use The Guardian and Min’s task as a metaphor for suicide therapy. It’s refreshing and bold to see Min’s supernatural experiences in his realization and recovery from the suicide attempt. The Not-So-Good: The subplots are mildly interesting but caused the main narrative to be slightly convoluted. As Min’s final days draw closer, the expositions get too excessive and it might feel exhausting to form a coherent flow from all the plot details. The overall pacing of the second half feels rushed even for its massive 132-minute runtime. Knock-Out Performances: James bolsters the entire movie with his wide range of emotional expressions. He is charming and convincing regardless of whether he’s delivering a comedic performance, bawling his eyes out, or shivering from fear. Homestay is surely his best appearance since his early roles. Cherprang is remarkable in her debut role as well, proving that she is not just a pretty face from an idol girl group. Watch Out For: The dreamy sequences each time The Guardian comes on. They are mostly comical but the lines are mostly gold advice for any realms. Recommended? Yes. 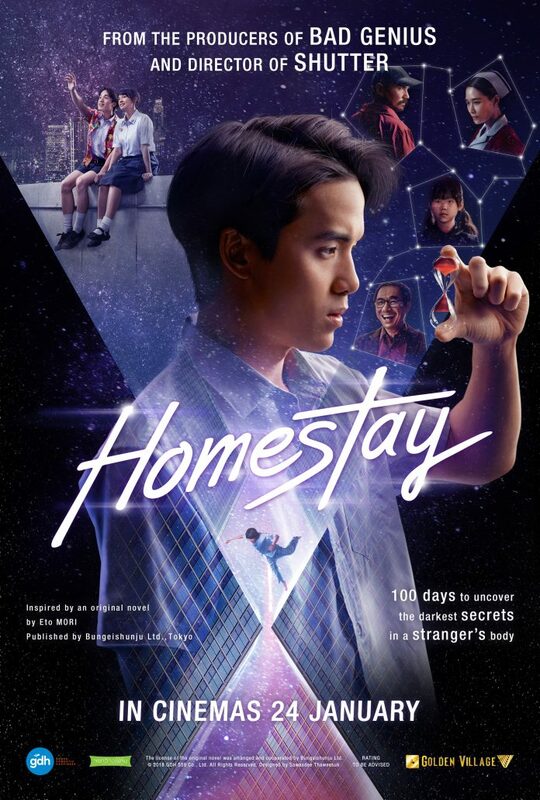 Despite its weaknesses, Homestay is a movie with a big heart and conveys a simple message in a novel and bold way. James’ performance is spectacular to watch and his expressiveness will make you feel what his character is going through. This will be a treat for coming-of-age fans who like a fresh perspective. Despite its weaknesses, 'Homestay' is a movie with a big heart and conveys a simple message in a novel and bold way. 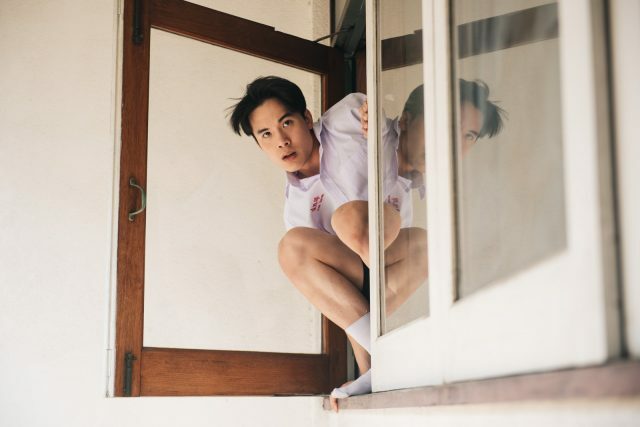 Teeradon “James” Supapunpinyo's performance is spectacular to watch and his expressiveness will make you feel what his character is going through. This will be a treat for coming-of-age fans who like a fresh perspective.